History: Jim is a big, laid back boy just looking for a place of his own. Jim’s racing career spanned 122 races at Wheeling Downs, Derby Lane and Southland. 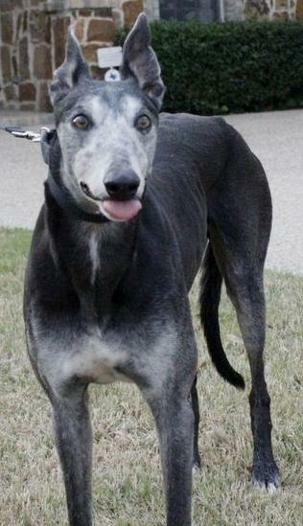 After retiring from the race track, Jim sired four litters of pups (21 pups total). Now is his time. He’s ready for real retirement, and TAGS is sure he’ll find it here. Jim, now Riley with his new mom. 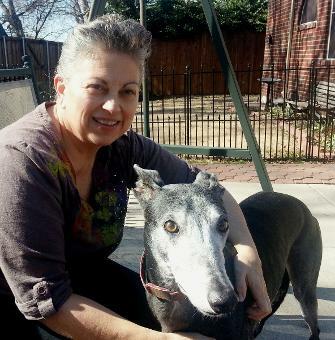 April 17, 2013 update: Jim, now named Riley, adopted today - in Greyhound Adoption Month! April 14, 2013 update: Jim is a big, handsome, sweet and loving boy. 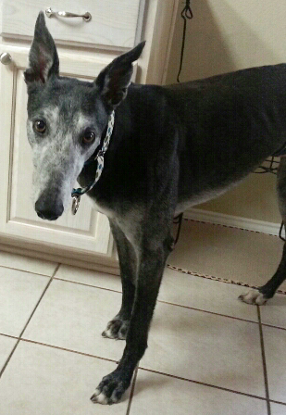 He is calm and laid back and has settled into his foster home without any issues. He is patient with the little dogs and pretty much avoids the cat. He talks when he wants something or wants your attention although we have not heard him bark. 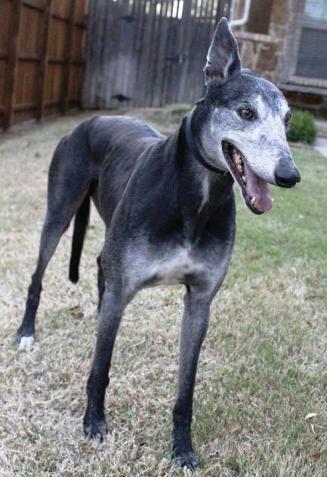 He has run zoomies in the back yard with the little dogs and other Greyhounds - so cute. 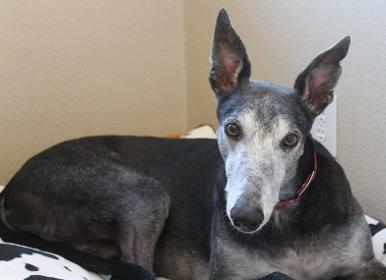 April 5, 2013 update: Jim started his new life of retirement with TAGS and is hoping to find a loving lifetime home to settle down for a life of ease in.